Rubber seals on your vehicle are exposed to extreme stresses especially in cold temperatures and frost, but also in extreme heat in the summer. Here, you should take precautions and protect rubber parts before they become brittle and have to be costly replaced. With Caramba’s rubber care stick, you can solve this problem easily by yourself. You can use this product to protect rubber seals on your car, but also in your home and garage with minimum effort, but lasting and effectively. Rubber seals on vehicles, but also on electric appliances and tools are important functional components that must be maintained just the same as parts from metal, plastic and glass. Without a rubber care product, rubber loses its elasticity, becomes brittle and cracked and will break sooner or later. In the winter, this is commonly due to frost and enduring cold. In the summer, direct sunlight and enduring heat can cause that the rubber becomes sticky. 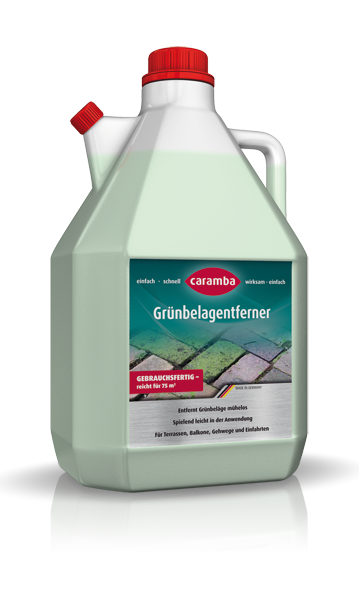 With this product, Caramba provides you the solution that you can use to appropriately maintain your car, electric appliance or tool also on these sensitive locations with an efficient rubber care product. Try our rubber care stick and convince yourself of its high efficacy, its easy use and the good protection and care performance for your rubber seals. It is very easy to use our rubber care stick. Thanks to its convenient sponge applicator you can apply this product directly on the seal and you can reach even difficult to access locations or very thin seals – easily and neatly. Additives and native care oils develop a protective film on the rubber and effectively prevent any sticking or freezing. Moreover, this product prevents material ageing and you can extend the replacement intervals for the seals. Note: Do not use Caramba rubber care on windscreen wipers, textiles, steering wheels, gear levers or pedals. Please follow the instructions on the packaging label and safety data sheet. Protect and maintain your rubber seals yourself – with the rubber care stick from Caramba.